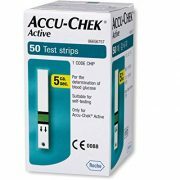 The Accu-Check Test Strips are the perfect choice for type 1 and type 2 diabetics. 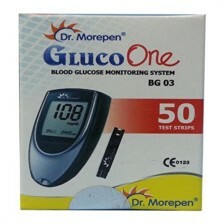 A component of The Accu-Chek active blood glucose test meter, it is highly recommended by doctors. Primarily used for self testing the blood sugar level, these strips are aptly designed for people on the go. You need to simply put a small drop of blood on the strip and get fast results without any hassles of going to the doctor. Now you can check your blood sugar level within the comfort of your home. 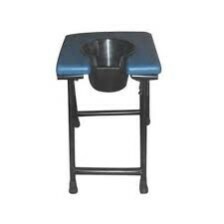 It allows handy top dosing as the large test pad is easy to find and to fill even for people who are visually or physically impaired. Also, special situations (e.g. hypos) do not cause handling problems.The large size of the test strip itself makes it easy to grasp, hold, insert into the meter and discard. 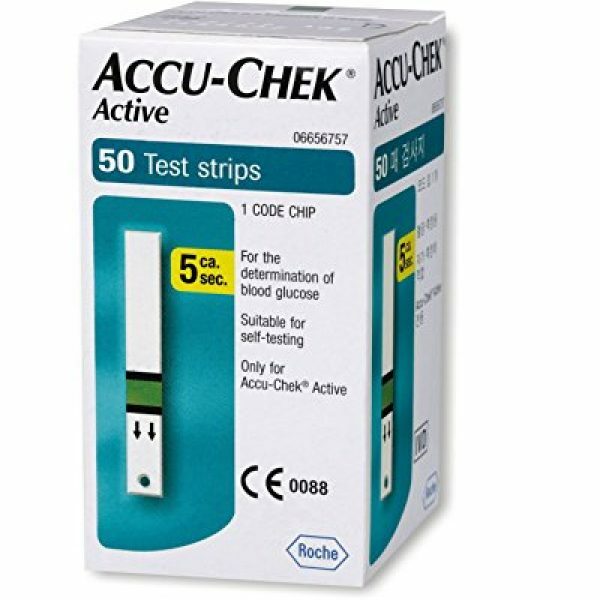 Thanks to out-of-meter dosing and AST options the Accu-Chek Active test strip can be dosed outside the monitor. By simply placing a small drop of blood on the strip, you can keep checking your blood sugar levels and keep them under control. 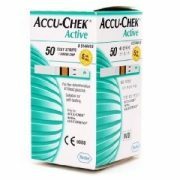 Apart from being recommended by doctors as a leading product in the field of Health Care, the Accu-Chek Active 100 Strips Pack will save you from the monotonous trip to the clinic every time you wish to check your blood sugar level. The large test pad has been designed in a manner that makes it easier even for those who are physically or visually impaired. The test strip has a conveniently large size that allows an easy grip and insertion into the meter which can also be discarded after use. 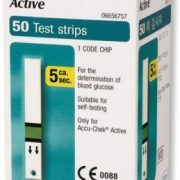 The Accu-Chek Active test strip can even be dosed outside the monitor, thanks to out-of-meter dosing and AST options. AST testing is now a very comfortable experience as only a blood sample of just 1-2 µL is required. It works efficiently for 2 levels – 50 mg/dL and 150 mg/dL and the strip is usable for a period of 18 months. 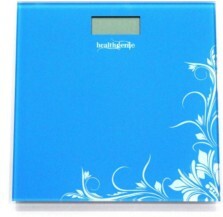 The product has proved to be a great tool for Diabetic patients in order to maintain a healthy lifestyle. Good product. Has a distant expiry date. Got it fast. 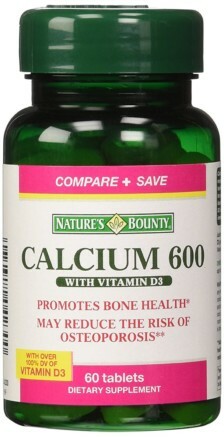 I have been buying this product for the last few years. No complaints. 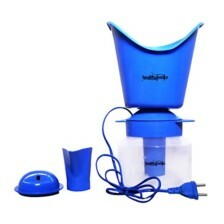 Excellent packing and works with ease. No issues. Expiry date more than year. Delivered in 3 days. Original product with 50 strips and color badge.